Geared for those ages 5 – to – 95, with a required adult-to-child ratio. For more information, see all of the subcategories in the main menu above, all under “DO SOMETHING MobilePack” – as well as many short informative videos below. For a direct link to my fundraising website where you can register your group to help fundraise, click here. This is also the place where you can sign up to volunteer for the April 2, 2016 DO SOMETHING MOBILEPACK. VOLUNTEERS, click here to create a reservation to join us in packing food – as long as you follow the required adult-to-child ratio. Hi, my name is Morgan. I am a freshman at the Whitewater high school. 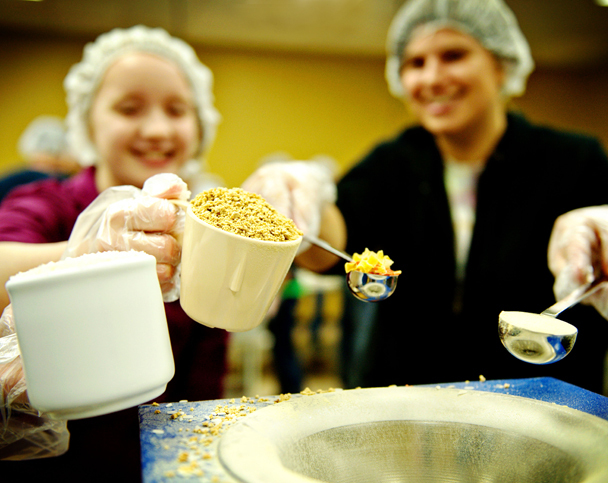 As part of my Girl Scout Gold Award project, I am coordinating an international dry food packing event to come to the Whitewater High School on April 2, 2016. Volunteers will help pack 100,000 meals for starving children in this world. I named this event the DO SOMETHING MOBILEPACK after the Matthew West Song ‘Do Something’. Mobile means that it travels from community to community. Open to 500+ volunteers ages 5 – 95. 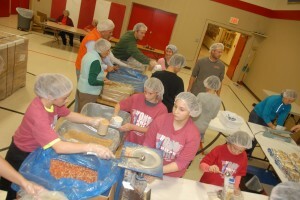 I am partnering with the Christian nonprofit: Feed My Starving Children, to bring all of the supplies. Community members, including: schools, churches and youth groups, civic groups, university students and sport teams, neighbors, and more… will all be welcome to volunteer. What is the difference between Hungry, Malnourished & Starving? Why are we packing in Whitewater? What is the cost to have this MobilePack? Why are there starving people in this world when there is enough food for everyone? .22 cents does a LOT! Who is the food helping?